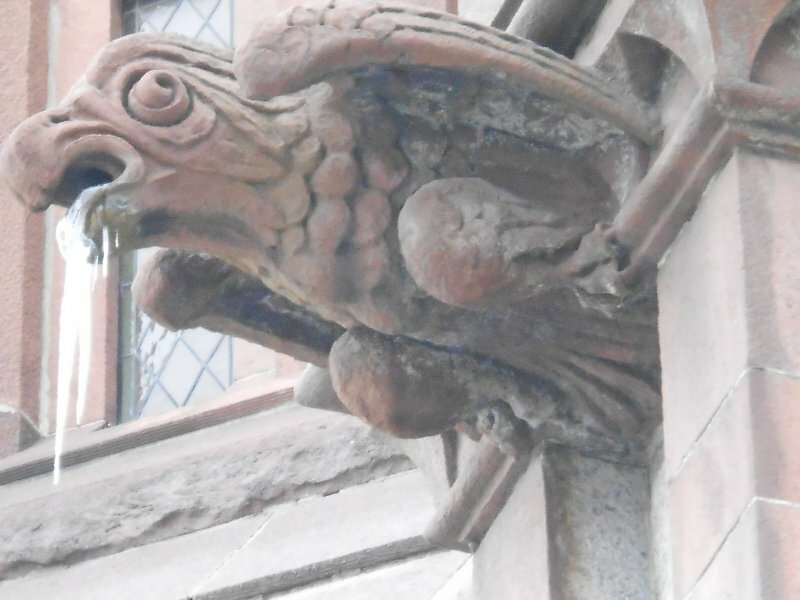 Being a Gothic kind of a gal, I’ve been fascinated by the gargoyles I’ve found on churches in Worcester. There may be more than these three examples, but these churches caught my eye. 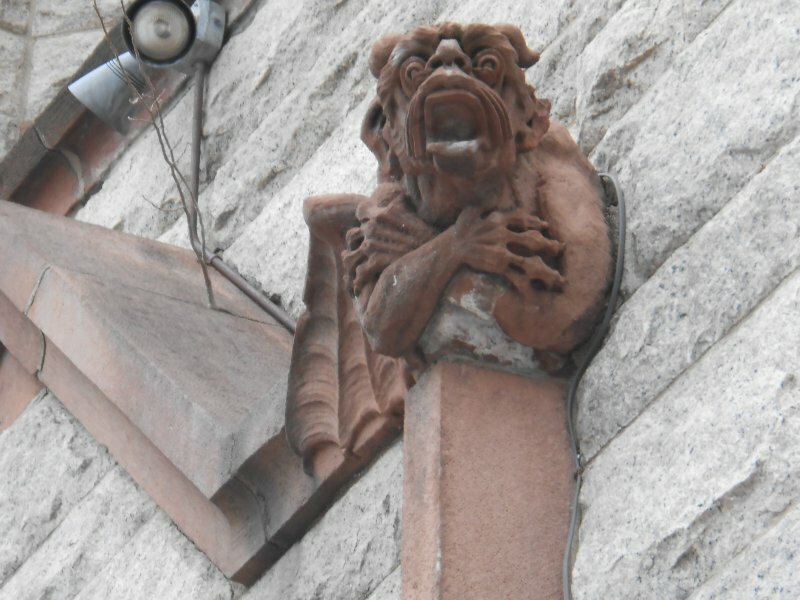 The first example is a single, friendly gargoyle that curves along a corner of the St. Matthew’s Episcopal Church on Southbridge Street. He gracefully curls his undercarriage toward you, his wings unfurl smoothly, and he seems to offer a friendly smile. Unlike traditional gargoyles, designed to scare away demons or to embody the sin and monstrosity lurking in the human soul, he almost seems to embody the thought that what we may judge monstrous, out of our own fears and prejudices, may actually be good and loving. An interesting thought, right? 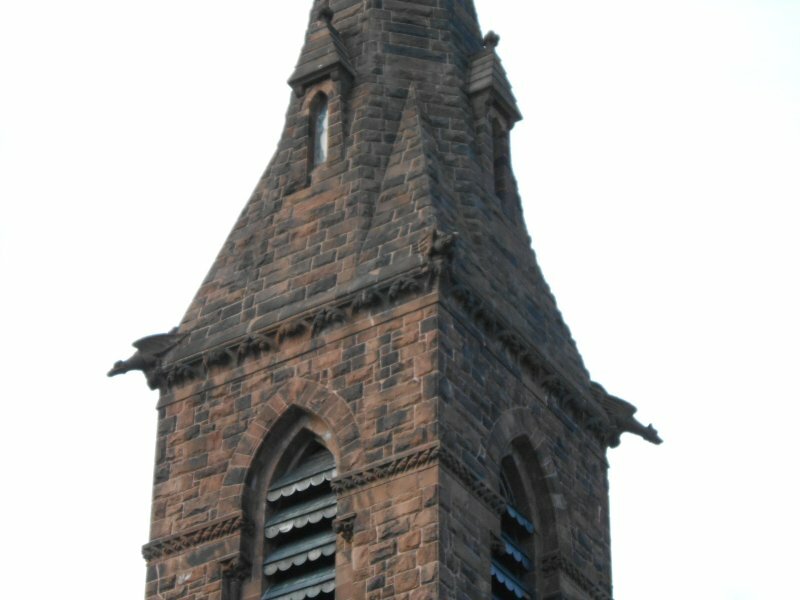 All Saints’ Church has two gargoyle guardians on its tower. 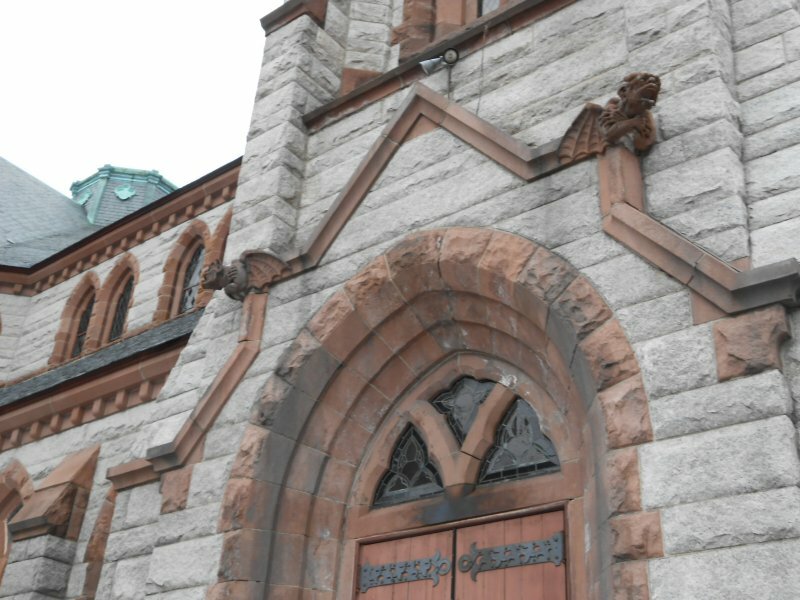 These fierce protectors are poised and ready take flight and dive bomb whatever demonic threats to the parish’s spiritual stability may lurk in the environs of Irving Street, Worcester, Ma. The church has played host to the Worcester State Chorale performances, and the acoustics for their exquisite singing was breath taking! The final church has a veritable feast of gargoyles, although some have disappeared mysteriously since first I sighted them. Did they fly away? Don’t blink, then, Dr. Who fans! Originally, the Union Congregational Church but now the Presbyterian Church of Ghana, this building is magnificent. The church has been likened to a scaled down version of Notre Dame de Paris. Not as many gargoyles, but a respectable showing nonetheless. Apparently, the missing gargoyle did not fly off (no Mr. Norell around), but was removed and sold to clear debts (see WT&G story.) The gargoyles that remain are, indeed, something else. My husband and I took these photos early in January, when streams of frozen ice lent the creatures a special beauty. We see that this poor chap seems to be feeling the cold intensely. Perhaps he’s existing multi-dimensionally: here and on Dante’s ninth level of hell. Looks as if he has the satanic wings with which to create the freezing air. He’s clearly not enjoying himself. Or maybe he’s just guarding the front entrance to the church against the incursion of demons with his pal here. These are the only churches with gargoyles that I know of in Worcester. If you know of more, please let me know; I’d love to find them. I find it interesting that though the Protestant Reformation slammed the Catholic Church for superstitious, distracting, and gaudy decorations, none of these gargoyle-inhabited churches are Catholic. They’re all Protestant. Go figure – just don’t blink. I have been enjoying your site, and really love this post! 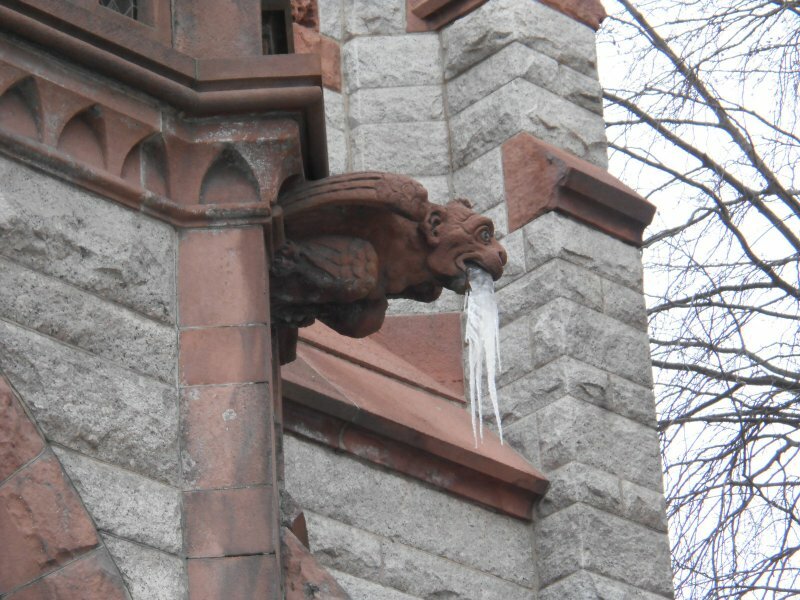 I, too, am fascinated by the gargoyles found on churches in Worcester. 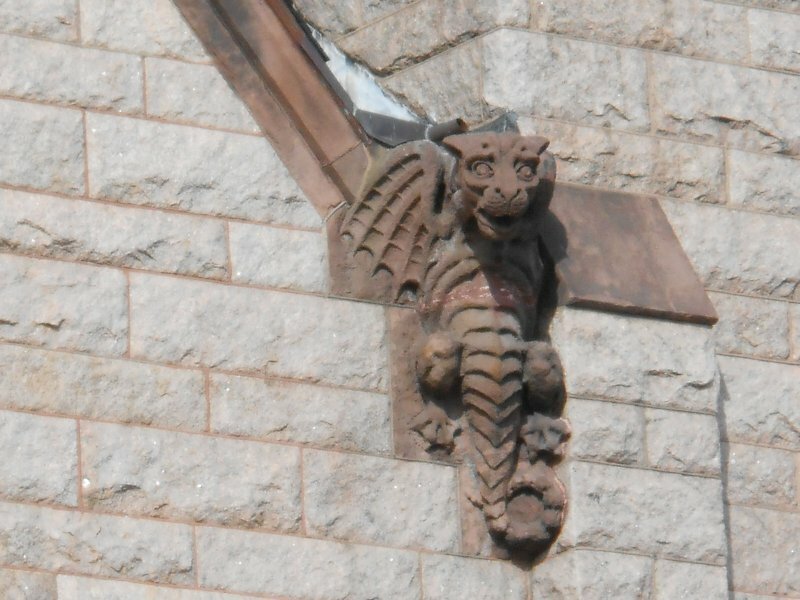 They are two other churches that I know of in Worcester which might be considered having gargoyles (depending on your point of what a gargoyle is). 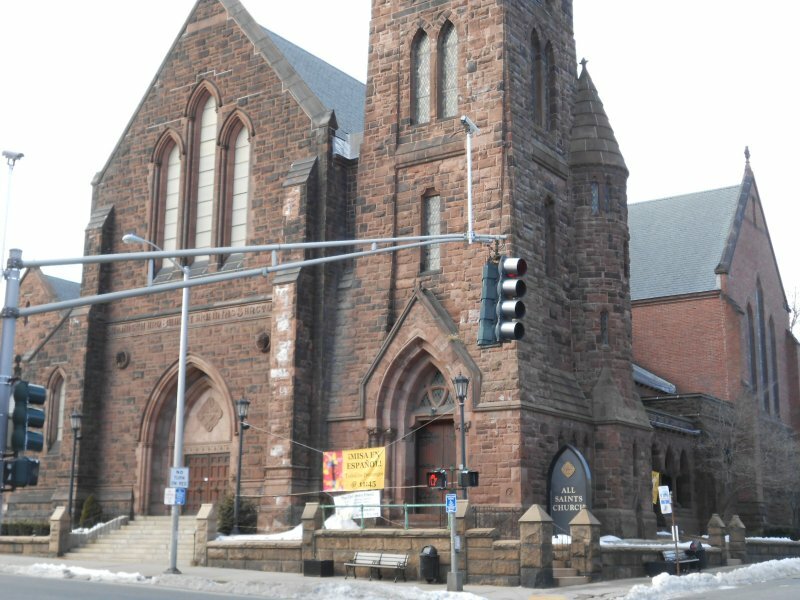 The first is the Chinese Gospel Church (formerly Our Lady of Fatima Church) on Belmont Street.. 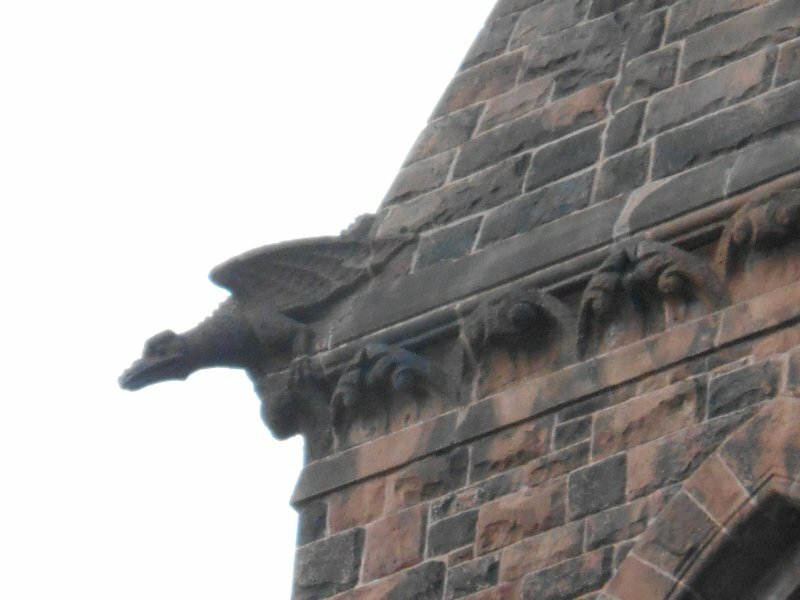 It is decorated with what appears to be either winged horseheads or dragons.Your sharp observation that the churches in Worcester all appear to be Protestant applies here as well. 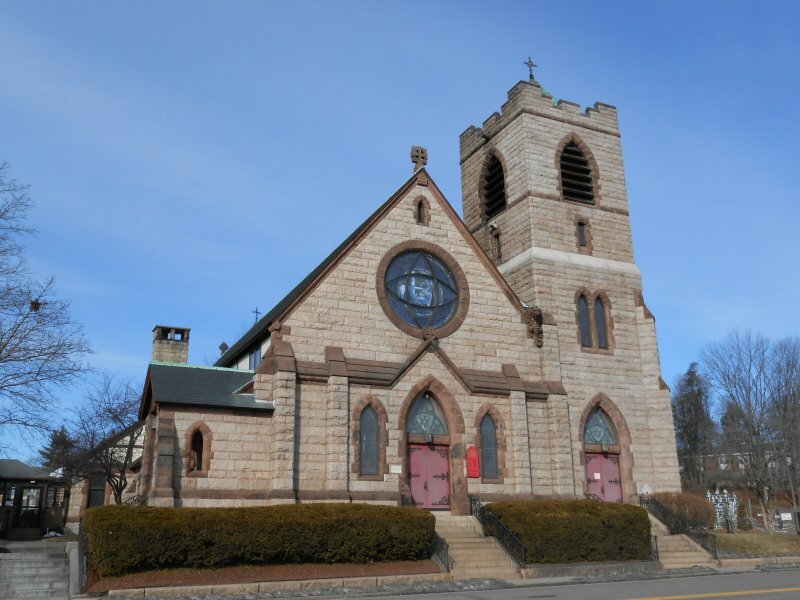 Although it is a former Catholic church, it was originally built as Trinity Lutheran Church! Catholic church of these five has lionheads instead of traditional gargoyles.